AS OF DECEMBER 31, 2013, THIS PLACE HAS ALREADY CLOSED. It seems only fitting that for our first Valentine’s as a married couple, we bring you something that is a milestone in itself when you finally get to try it. Ladies and gentlemen, we bring you Lolo Dad’s. Before the two of us even got together, we had already heard much about the place. To be honest, it was all rave reviews but everything seemed to come with a hefty price tag enough to scare the wallet and send it scurrying away. 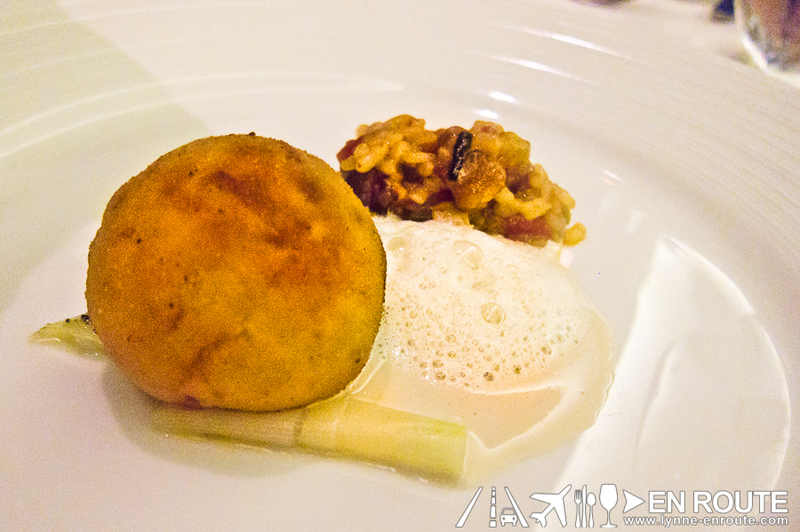 So several years after, many restaurants tried, pounds gained, cooking attempts, and a wedding to boot – although not really much diference when it comes to the piggy bank – we finally crossed over that white archway into what felt like the legend that is Lolo Dad’s to try their 2013 Valentine’s Menu by Chef Ariel Manuel. It was nowhere near intimidating as we originally thought. 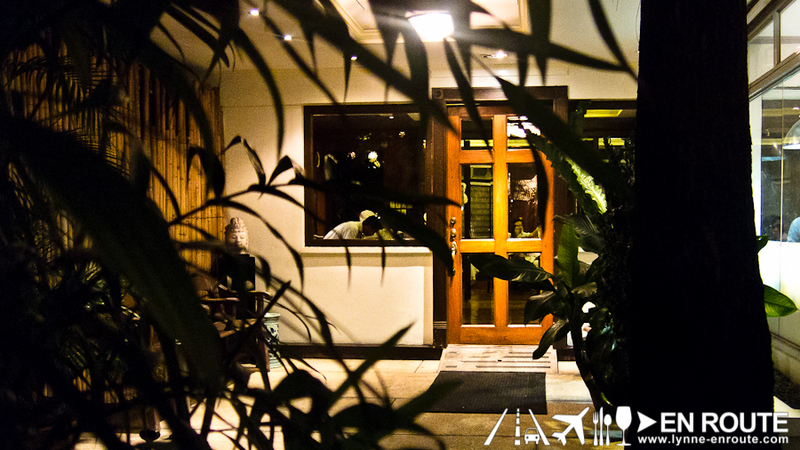 Once we walked through the doors, the wooden walls and floors spelled warmth. (Oh, and was that their bar/ cashier counter right by the entrance?) 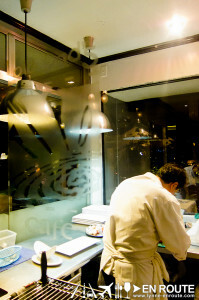 To the right of the entrance appears to be a more modern side of the restaurant, complete with a glass-walled open kitchen so it’s like watching a live cooking show the whole time. We hear the table right beside these windows is the best seat in the house. Most likely prime real estate during Valentine’s. For this entry, we wanted to try something different. 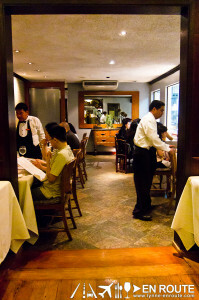 Ray and I will do a bit of a tango as we each give what we think of all the dishes we tried. Due to holding out on visiting Lolo Dad’s we ended up ordering ala carte on top of the generous tasting menu. 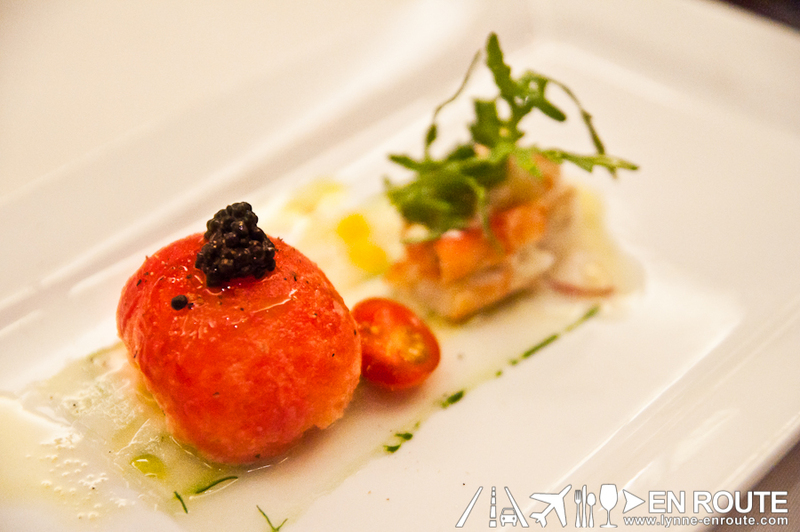 A set of Php 2,850+ consists of six courses, including the sorbet, and can already be fit for sharing. Lynne: Soft, creamy cheese inside a juicy tomato? Who thinks of that? It was just genius. Every bite was just a play on fresh flavors, be it from the salmon, the shellfish, or the tomato. Ray: First impression is, if you are a man used to large servings, you might just gobble this up and be left wanting for more. The trick is to savor each and every bite. This is, after all, fine dining. And when you do, the flavor of that tomato confit filled with salmon and cheese goodness should more than make up for its size. 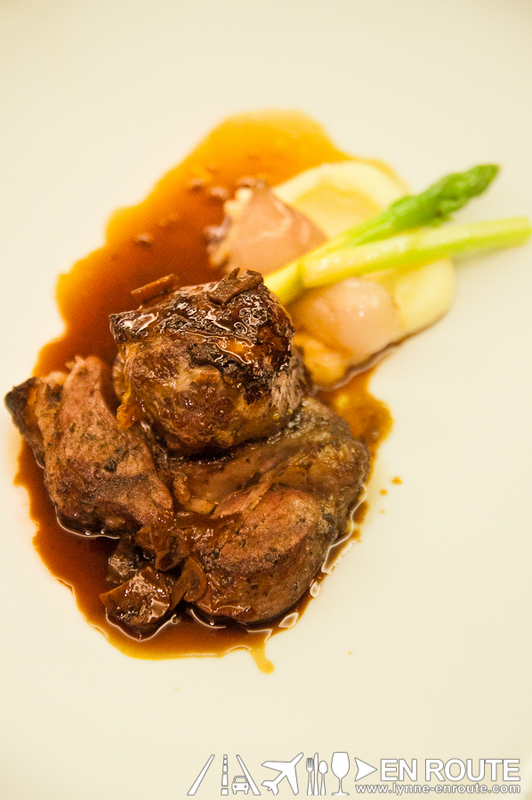 Lynne: This course was like a trilogy of duck. 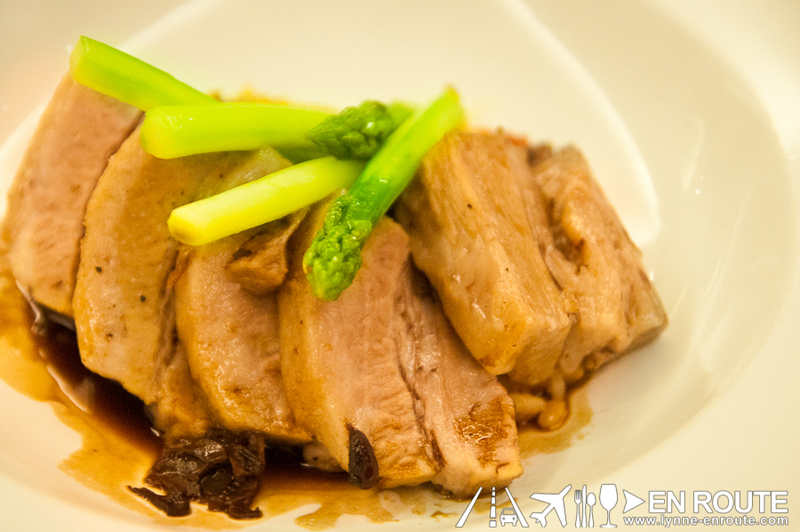 It was made of different duck parts and offered different textures. 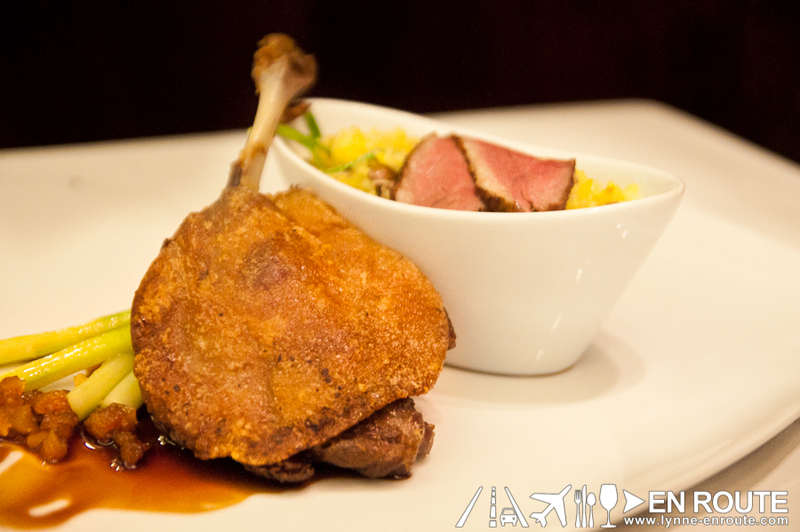 Duck was never a favorite of mine but all three samplings have converted me beyond my only exception of foie gras. FOIE GRAS. Perfectly seared. On a crostini. With a drizzling of caramel. It was just heavenly! I almost forgot I was married after I bit through the crunch and the melt-in-your-mouth paradise that the dish was. Taking it with the comforting consommé and the more meaty open ravioli of barbecued duck felt like a 3-course meal in itself. Ray: Personally, some of the non common meats like duck, lamb and goat are my thing, and so seeing a duck ravioli was a sign of the genius behind that kitchen. 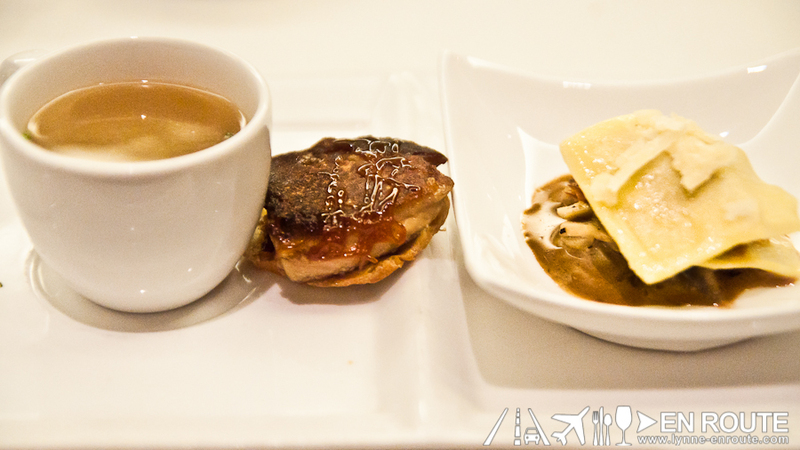 And then there’s foie gras. This site may be biased towards this along with wine and alcoholic beverages, but understand that the creamy, savory flavor is what the good life was all about. If I was a girl, I’d marry the chef. But since I’m a guy, I give the chef a high-five. 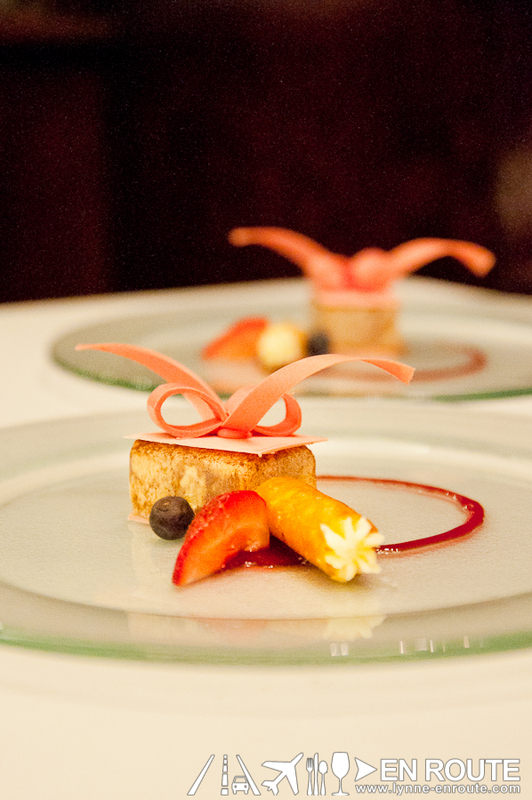 Lynne: In keeping with the theme of Valentine’s, each course seems to involve some unwrapping of a surprise of sorts. The croquette oozed out garlic aioli, a favorite of mine, and its warm and hearty spoonful was contrasted well by the saltiness of the chorizo and rice. Ray: It’s hard to have just one of those croquettes. Wish also there was more of the chorizo in what seems to be a risotto rendition. The chorizo may be good to eat first and then its strong taste complemented with the croquette. Ray: Presentation is fantastic! 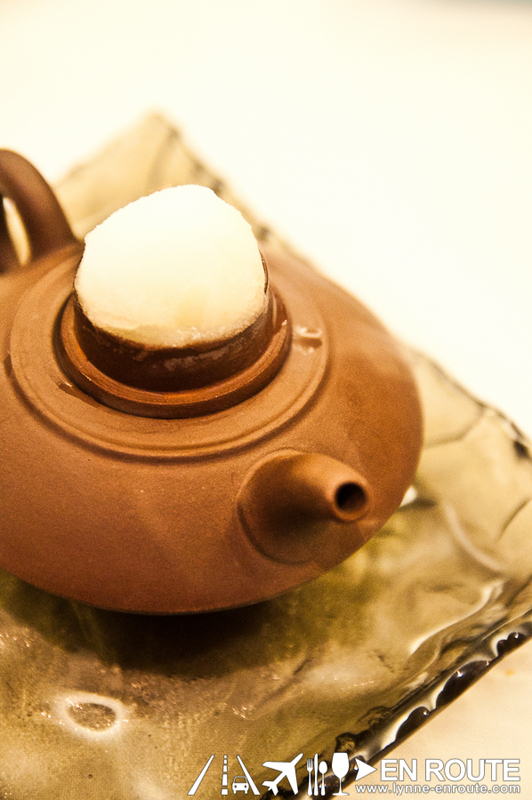 Who would have thought to use the opposite side of a teapot lid to serve a scoop of sorbet, and have the teapot filled with dry ice to keep it cold and give off some smoky flair at the same time? Ray: Steak lovers would know that the tenderloin would be one of the blandest cuts, but this seemed to be marinated to ensure that the dining experience was not ruined by a bland tasting steak. And then there’s rib-eye. Juicy with a depth of flavor, try taking a slice of this accompanied by the tenderlion cut. Lynne: It was honestly too beautiful to eat. I spent a long time staring at it until the sound of everyone raving about the cannoli got the better of me. Holy cannoli. That was good. I found myself bartering another part of the dessert to get the whole cannoli piece for myself. The chocolate coated vanilla and butter frozen cream was not too soft or too hard. It had the right amount of sweetness to provide a pleasant finish to the incredible meal. 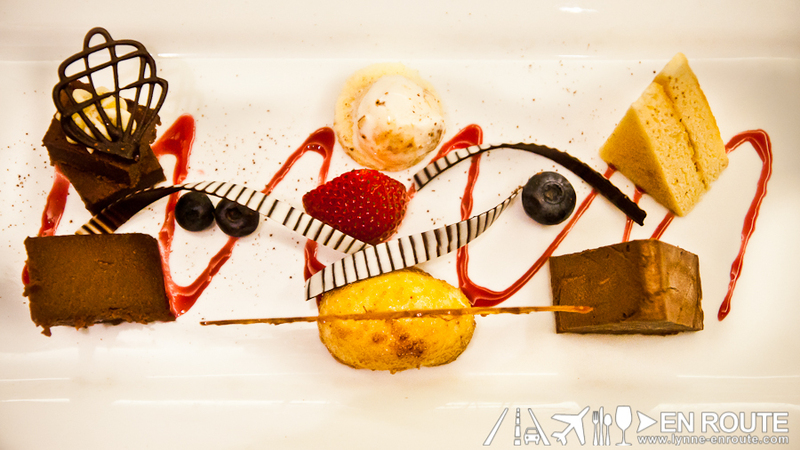 Ray: The devil is in the details, and a whole dessert made to look like a gift in tune to the month of hearts can seal the deal for you romantic dinner. But other than the cake, it is the cannoli that will be a heart stopper. The wrapping is so thin and delicate, yet gives a satisfying candy crunch that gives way to that luscious cream stuffing. Overall, with just one piece, it was really such a tease. 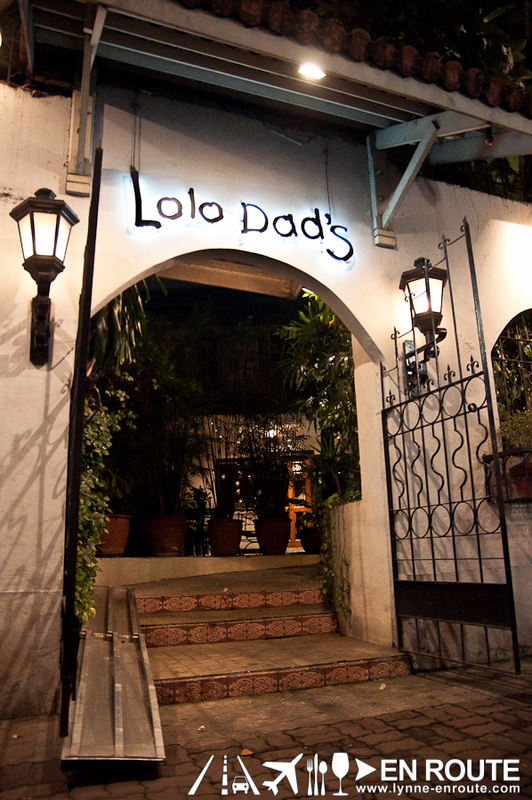 Lolo Dad’s ala carte menu is still available so what you and your date can actually do is order one Valentine tasting menu and then add another main course. And maybe dessert just in case that cannoli got you longing for more. A lot of other dishes came highly recommended and showcase the mastery in terms of presentation, choice of ingredients, and flavor. Once it’s set before you, you just have to say, “hello” and get to know it bite after bite, much like you would in any romantic setting. Look into their Romaine Ceasar Salad with Jamon Serrano (Crispy Pancetta and Eight Minute Boiled Egg Php 420.00+) for an appetizer and the Confit of Duck Leg in Spiced Fat and Glazed Roast Duck Breast with Stir Fry Foie Gras Rice and Lavender Jus (Regular portion Php1,525.00+, Modest portion Php915.00+) or the Confit of Kurobuta Pork Belly, Arborio Rice with Chorizo, Prosciutto and Panceta, Garlic Aioli Melocoton (Regular portion Php1,080.00+, Modest portion Php 650.00+). 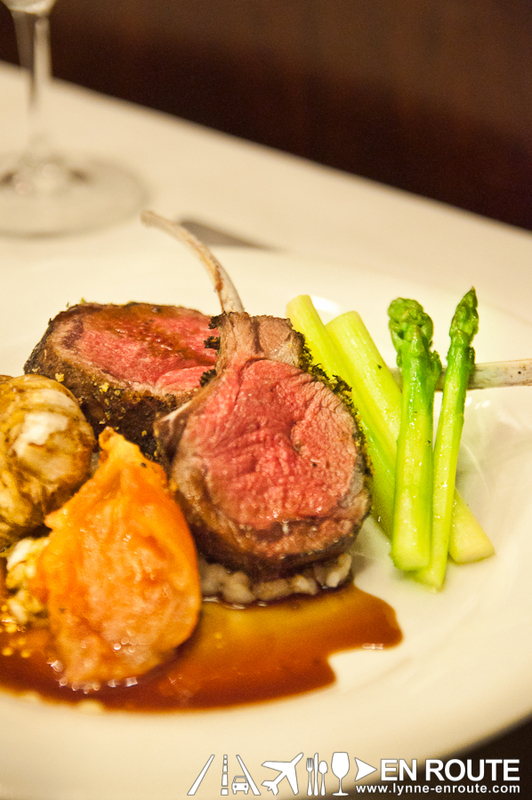 Lynne: This is hands-down, the best lamb I have tried in my life! Mind you, I am not a lamb person. I find it so easy to mess up this kind of meat that I’d rather not put myself through the misery of eating a poorly-executed mutton dish. The risotto also went very well with the lamb that when I tried to get another spoonful from Ray’s plate, it was gone! 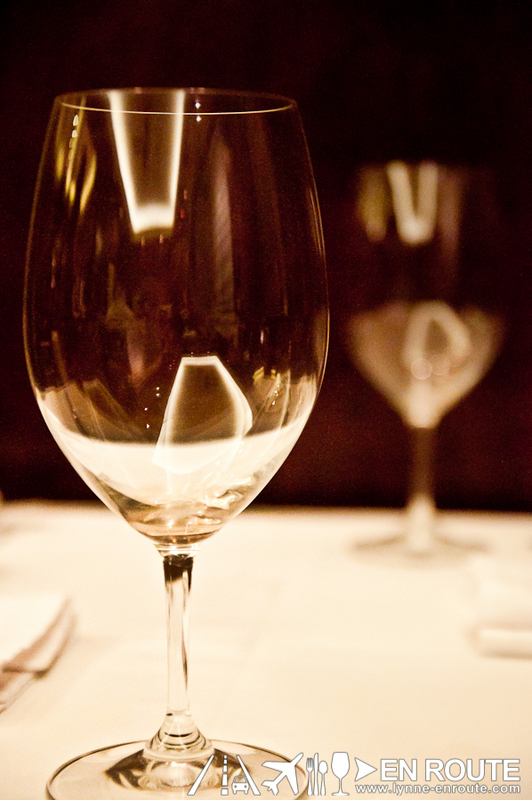 Ray: An elegant artwork of a dish. The dark searing of the lamb, all the way to its hot pink center, then complemented by an array of colors and supporting casts of flavors. If you are one to have your meat well done, these are one of those times you will want to reconsider. It is so soft and tasty, with no gamey aftertaste. There is a respect for the use of the animal as a dis, and a respect for the diner who demands great things from fine dining restaurants. 915.00 bucks for this modest portion? Who said Lolo Dad’s was expensive? Lynne: I couldn’t resist! Despite the elaborate course we had just finished, the call of chocolate had to be answered. And this sampler did not disappoint. Chef Ariel plated 6 different chocolate creations beautifully. Strips of chocolate swirl around the plate leading you from one dark to one semi-sweet, another that’s soft and chewy, while the other’s an ince cream. Take nips here and there with the caramel “wall” that’s propped up as a centerpiece. Each bite was decadent and would definitely go well with a crisp white wine. Ray: More artwork on a plate, this time more into the pop-art style. Mix of chocolates, berries, creams, and some pastries. As it is, it is a meal in itself, but it is understandable that the portions are huge since some people are more fan of desserts. You know what would make this awesome? 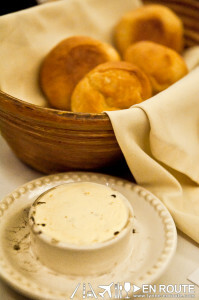 Maybe replace one of the bready samples with the cannoli. Truly, it was a date to remember. It was a delight for the senses and a satisfying night of good food. Any intimidating impression that Lolo Dad’s is only for those who can splurge on good food will find out that the Valentine’s Tasting Menus and the new Modest Portions will still equate to something almost similar to an upscale casual food chain. 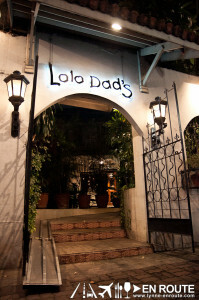 But only few can match the intimate, romantic setting coupled with indulgent flavors churning out from the kitchen of Lolo Dad’s, almost tailor fit for your Valentine’s celebration. Lolo Dad’s is located at 899 Pres. Qurino Ave. cor. 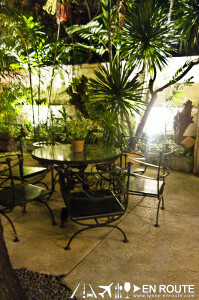 Leon Guinto St., Malate Manila.